I would like to congratulate to for being the next president. I would like to talk to you about an important issues in the United States. 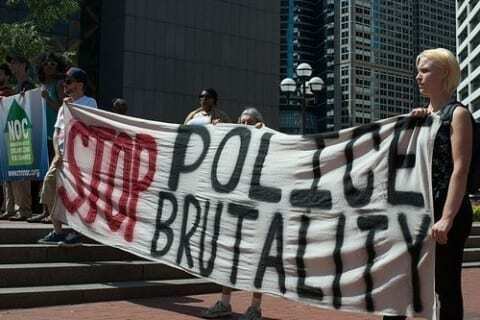 The issue I am about to address is all of the police brutality that is happening to people of color. I think that is unfair to harm someone just because they aren’t white. People of color should be treated the same way as white people. I think that color doesn’t define us. Things that define us are are personality. Color is just a part of us it doesn’t mean we should be treated differently. I have a feeling police are just taking advantage of their jobs and harming people for being innocent. Think about it like this, your family member is walking down the street and they are harmed because they are of color. I bet you will probably be devastated because they didn’t even cause harm or trouble. Another issue I have is the problem about immigration. I think that immigrants decided to leave their country for a certain reason. You think that all immigrants are bad, but they are not they just want to get away from their troubles back at home. Yes some people do cause harm, but for the most part they just really want a better life. I think you should just give them a chance. I feel really strongly about this because last year my cousins immigrated from Colombia. Their reason was only so that they could be with their family. I know you think they are taking jobs, but really they are not. Like I have been saying they just want a better life. If you would just make these changes this world could be so much better. Make Our Community A Better Place by Siera is licensed under a Creative Commons Attribution-ShareAlike 4.0 International License. I agree, strongly, with your post. Many police officers are taking advantage and horsing around with the authority of their jobs, but there are also many positive officers that are protecting us from the violence we don’t even see in our communities. Your writing is extremely intriguing, I cant wait to see more!! I believe that Police are harming people and there are a handful of police officers in our world that are bad people, and take advantage of their jobs; with that said I believe that there are also a lot of really good police officers in our community that help millions of people. I think that the solution is not trying to regulate all police officers from doing their jobs, but instead make a system to better filter out the police officers that are going to cause issues and problems.